Hello! i hope the week has been good for you so far. 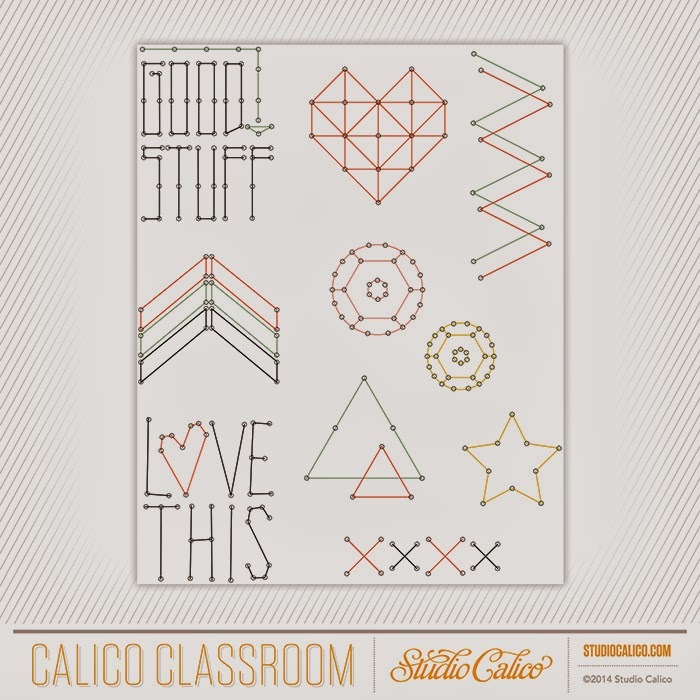 i'm here to share with you my favourite upcoming class at studio calico - stitched! this class will be conducted by talented and sweet paige evans where she will be going through 24 stitching techniques - both hand and machine stitching, that we will be able to add into our projects. if you haven't seen her amazing work, you can drop by her gallery here. i love adding stitching to my layouts and project life cards so i am terribly excited to start this class! 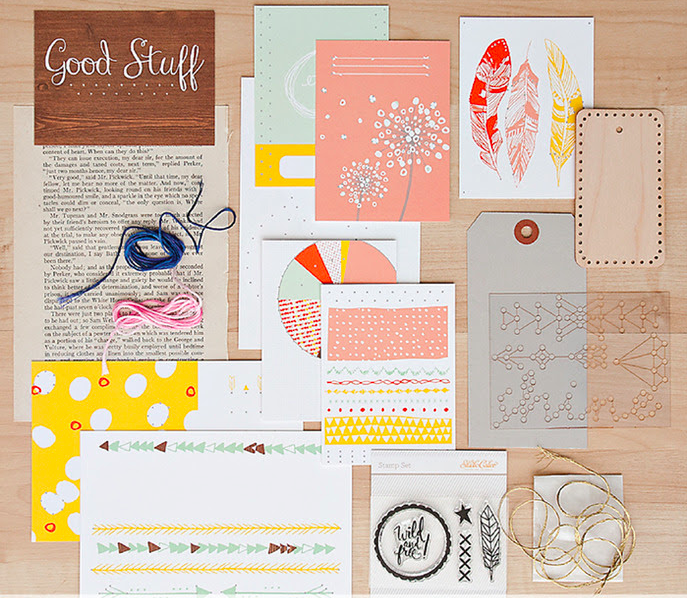 when you sign up for this class, you will receive a bonus class kit and shipping is free no matter where you are! the last i checked on studio calico website, its still available but stock is running really low. i ordered mine and i can't wait for it to arrive! 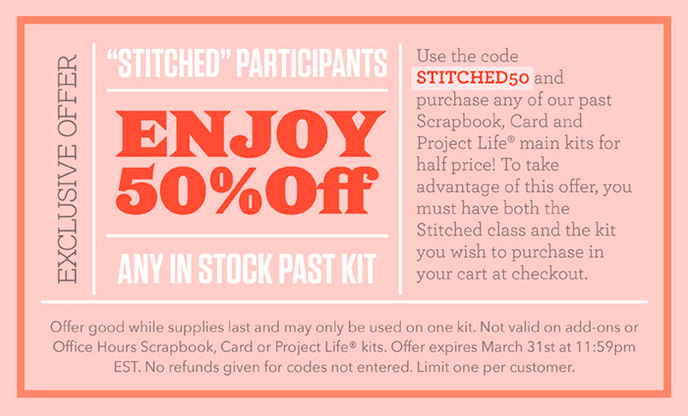 if you haven't gotten the cuppa scrapbook kit, blue note scrapbook kit or cuppa project life kit, you can purchase it at half price when you purchase both the kit and stitched class together! remember to enter the code stitched50 during checkout. here are also some of the digital files you will have access to once you sign up. pretty cut files you can use with you silhouette cameo! i think i will try drawing the designs out with my sketch pens too. if you do not have a silhouette cameo, you can also print out these files (in .png format) and use them as stitching templates. i do not have a sewing machine so i have only tried hand stitching and i love the added texture and interest it brings to my layouts and project life cards. you can click on each image to see details of the projects. 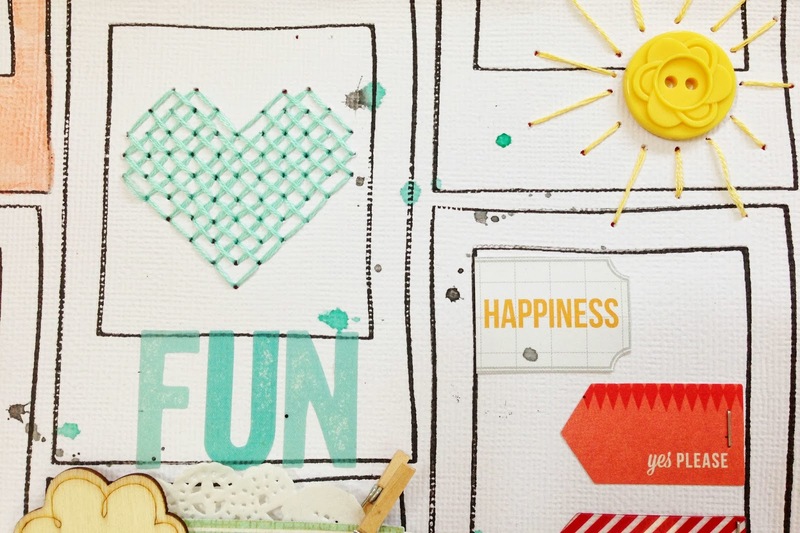 i used digital files by paislee press as a sewing template in these layouts. although i don't have a sewing machine, i love the effect it gives so i tried creating something similar with hand stitching here. i hope you enjoyed these stitching projects i shared and if you would like to add stitching to your projects too, you can get more details of the class and sign up here. hope to see you there!